Pigeon Forge, TN is a paradise for anyone who loves to dine out during their vacation! Our Smoky Mountain city is filled with excellent restaurants that offer everything from down-home Southern cooking to international cuisine. 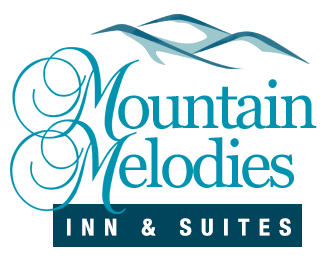 When you stay at Mountain Melodies Inn & Suites, you will be just a short walk or drive from some of the best places to eat on the Parkway. To help you make the most of your next vacation, we have put together a guide to six awesome restaurants near our downtown Pigeon Forge hotel. If you’re craving pizza, you just can’t beat Big Daddy’s! This great restaurant is known for its delicious thin crust pizzas, which are baked in a wood-fired brick oven. With hand-pulled dough, homemade sauce, and the freshest ingredients available, the pies at Big Daddy’s are a step above your typical pizza joint. Big Daddy’s Pizzeria is a 6-minute walk or a 3-minute drive from Mountain Melodies Inn. For over 30 years, the Applewood Farmhouse Restaurant has been a beloved destination for Smoky Mountain vacationers and locals. Located beside an apple orchard, this wonderful restaurant incorporates nature’s perfect fruit into many of its signature dishes. Every meal at the Applewood Farmhouse Restaurant comes with a complimentary serving of apple fritters, apple butter, and a special fruit juice medley. Open for breakfast, lunch, and dinner, the Applewood Farmhouse is a can’t-miss stop for any getaway in Pigeon Forge. The restaurant is a 12-minute walk or a 3-minute drive from Mountain Melodies Inn. Hard Rock Cafe is the perfect place for music fans to dine! Guests at this restaurant will have the chance to see memorabilia from some of the most famous musicians in the world, including Jimi Hendrix, Madonna, Shania Twain, Taylor Swift, and our very own Dolly Parton. Of course, Hard Rock also has delicious food, with their burgers, fajitas, and mac-n-cheese being especially popular items. Hard Rock Cafe is a 4-minute walk or a 1-minute drive from our downtown Pigeon Forge hotel. Blue Moose Burgers & Wings is a family sports grill that serves delicious American fare. With mouthwatering half-pound burgers, award winning chicken wings that come in 23 flavors, and a variety of sandwiches and salads, this restaurant truly has something for everyone. Blue Moose is a 5-minute drive from Mountain Melodies Inn. Little Tokyo offers a taste of Japan right in Pigeon Forge! Guests can enjoy a delicious hibachi meal prepared right before their eyes or they can sample items from the restaurant’s extensive sushi menu. Little Tokyo is a 5-minute drive from Mountain Melodies Inn. Bullfish Grill specializes in dishes from both the land and sea. All of the restaurant’s hand-cut steaks are aged to perfection and made from Grand Champion Angus Beef. Popular seafood items include the shrimp and grits, mahi-mahi, and pan-seared crab cakes. Bullfish Grill is a 5-minute drive from our hotel. Guests at Mountain Melodies Inn & Suites will love being near the best restaurants on the Parkway. Our hotel has all of the amenities you need for an unforgettable vacation, including a complimentary breakfast each morning, an outdoor swimming pool and hot tub, free wireless internet, and even more great features. To start planning your getaway, browse our selection of downtown Pigeon Forge hotel rooms!